For a century, economists have driven forward the cause of globalization in financial institutions, labour markets, and trade. Yet there have been consistent warning signs that a global economy and free trade might not always be advantageous. Where are the pressure points? What could be done about them? 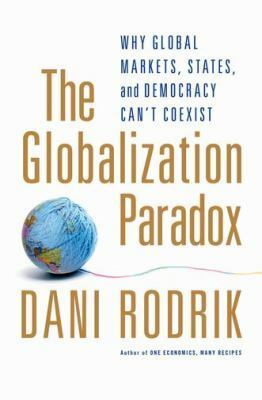 Kate Saffin finds that Dani Rodrik’s latest book represents another valuable contribution to future debate and research on globalization and the financial crisis. The Globalization Paradox: Why Global Markets, States, and Democracy Can’t Coexist. Dani Rodrik. Oxford University Press. March 2011. Dani Rodrik is Professor of Political Economy at Harvard University and has been a vocal critic for over a decade of what he sees as the unbridled tide of globalisation present in today’s worldwide economy. Rodrik’s 1997 book Has Globalization Gone Too Far? was hailed as one of the best economics books of that decade by Business Week, and was a forerunner to The Globalisation Paradox, in which Rodrik sets out the perils of financial globalization without any constraints, as he says perfectly evidenced by the most recent financial crisis and the rapid domino effect that it had around the world. He cautions that the crisis was predictable and that economists – both academic and practising – became blind to obvious pitfalls because they believed too strongly in their own invented narrative: “markets are efficient, financial innovation transfers risk to those best able to bear it, self-regulation works best, and government intervention is ineffective and harmful”. Rodrik believes in the power of globalisation to lift millions out of poverty and create widespread good but only if it is done more thoughtfully. The paradox is essentially that in order for globalisation to bring proper economic benefits that are broadly distributed throughout society, national democracies need to be strengthened and international rules need to be in place, that protect all players, whilst still allowing for manoeuvrability and enterprise. This is in contrast to the oft-cited doctrine that the true powers of globalisation can only be harnessed when there is a complete free flow of capital with minimal regulation. The author sees globalisation as a problem of triangulation. He sets out his trilemma: “we cannot simultaneously pursue democracy, national determination and economic globalisation”. He states that one of these three has to give if the others are to be pursued. Rodrik starts by looking back. He reminds us that after the Asian financial crisis of 1997 a lot of the analyses told us that, “it is dangerous for a government to try to hold on to the value of its currency when financial capital is free to move in and out of a country”. Rodrik then takes us further to the collapse of the Gold standard era, the post-war Bretton Woods regime and the Washington consensus, and the political discourses that shaped their aftermath and the opening up of the markets in the latter part of the last century, and what roles institutions like the IMF, the WTO, and the World Bank have played in this. Rodrik sets out that the rights of democracies to protect their own social arrangements should out-trump the requirements of the global economy. If this means that markets should be prevented from over-expanding because in doing so they impinge upon national well-being, so be it. Rodrik points to countries such as India and China and their sophisticated take on globalization. They have prospered, he argues, by not being dependent on international finance in the era of globalisation, but rather by being selective in which part of the deal they took up; they lent money to rich nations in preference to borrowing, and pursued mixed strategies with strong state intervention and regulation with clearly defined goals for their own societies. He particularly references Latin American countries, who have not had such policies and have fallen victim to the downsides of globalisation. So what does Rodrik argue for instead? The principles of greater governance, and a more thoughtful balance between markets and institutions are easy to understand. He recognises though that achieving global levels of governance with institutions that reach out of nation states is hard to imagine in the current world picture of wildly varying countries, with contrasting infrastructures, societies and values. What he asks for first is a new narrative, one that looks at fairness and sustainability as well as growth, and has a truly global outlook that allows for individual countries to make their own financial arrangements and models, but within a multinational framework of governance and regulation. He believes that achieving such lofty goals is possible and can avert future crises. The book is excellently set out and deals with complex issues in a highly readable and easy to understand way, with entertaining and historical facts and anecdotes, making it accessible to any reader. Rodrik’s research to date has looked at what makes up good economic policy, and what the barriers are to achieving it, by studying countries in depth and making valuable international comparisons. In The Globalisation Paradox he may not have all the answers and it is unclear if his ideas are equally as applicable to countries in different stages of development, but he has made another valuable contribution to future debate and research. Dr Kate Saffin has worked as a medical doctor in London, Sydney and Paris and is a qualified General Practitioner. Most recently she completed the Masters in Public Health at King’s College London and has subsequently worked for a think tank and as a freelance researcher in public and health policy. Her research interests lie in international development and the intersections between health, the environment, economics and politics. Read reviews by Kate.